I have always been keen to have a go at mosaic. I now have the time and have moved near the beach and can finally give it a go. 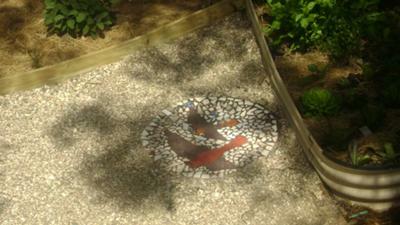 I have covered one old, disused septic tank with an informal leaf theme mosaic and two kestrels. I am very excited and happy with the results.